IIIT-Delhi provides a platform to facilitate interaction between students and companies, so both can find the best match as per their aspirations and requirements. Our Graduates are a combination of rigorous thinking, hard work and fundamentals. The campus promotes a host of student activities to improve their soft skills, which are imperative for one to excel in his/ her work space. Besides, campus is abuzz with activities of various student clubs and organizations. We highly value our partnership with recruiters & remain committed to making your recruiting experience productive and positive. On behalf of the campus the placement team extends a warm welcome to all the recruiters to visit the campus and test our budding talents. We hope that firms and our students will create synergies & find the best match between their needs and capabilities. We have very recently started participating in some national level ranking ,we are doing fairly good .We will continue do good work & soon we will be on the top of the list. The industry is always in need of highly skilled fresh talent .At IIITD we address this need through our comprehensive and long term approach to education with a highly charged and professional atmosphere. 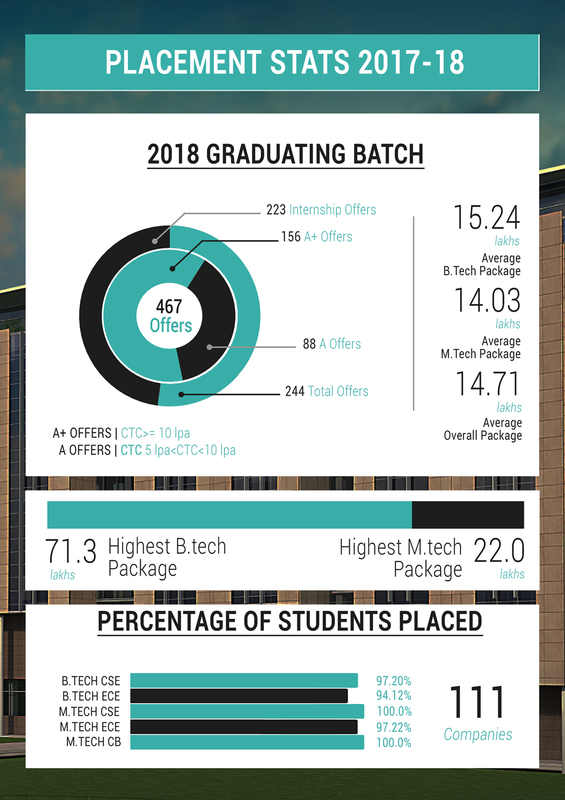 This blend is found at IIIT-D due to a highly accomplished and motivated faculty, student intake and is clearly reflected in our placements, which have consistently been excellent right from the first batch, which graduated in 2012. So far 06 B.Tech batches & 04 M.Tech batches have graduated from the campus & are making us proud . IIIT-D has an incubation center giving the students all support required for them to pursue their dreams. Check out our past recruiters. 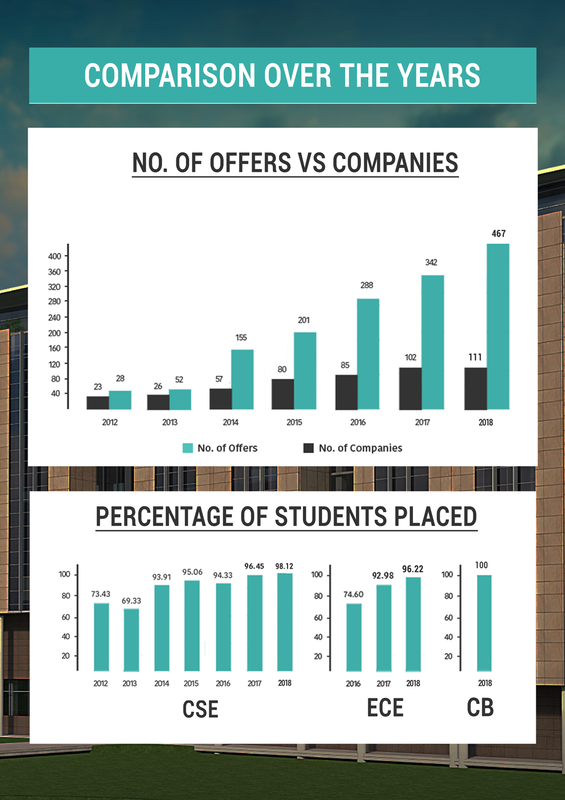 Check out the stats of offers to the graduating batch, and the stats for earlier years.